Among the tough schedules and tense educational environment, secret to success in college life depends upon a wise planning, its strict implementation and maintaining a strict controls on the outcome. Unavoidable delays may be in some of the college activities but the best advice is to cover up the delays or deficiencies. Otherwise penalties may be in shape of wastage of gold-like treasure of time and even the gold-like dollars. The best suggestions are not to run like mad but to walk cautiously, with planning, and achieve the goals very in time. This can be achieved only and only with strict schedules and their implementations. Keeping the problems of college students, Microsoft has developed many template which are operational in the Microsoft Office Excel. You may download any of the template from the site of Microsoft and may run in the Office environment. These are easy to understand and run and an ordinary student can work on them, quiet easily. 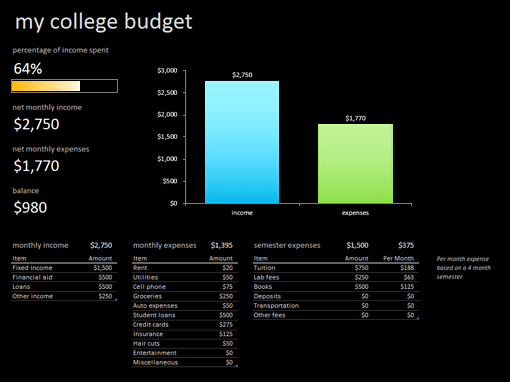 These 19 Microsoft Excel templates fall in the College tools category. Management of overall budget while in college. Keep record of each expense, amount, name of the person who has paid and for whom this amount is paid – and you may add detailed notes, if these are other than the details mentioned. Just write the year in the template and the dates will be set, automatically. 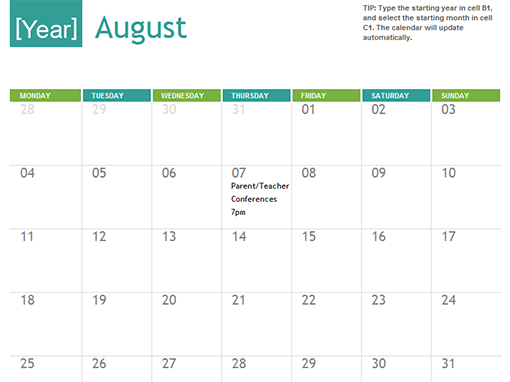 As it is easy and possible to prepare the yearly planning and recording of activities, you may apply this template for whole the year. 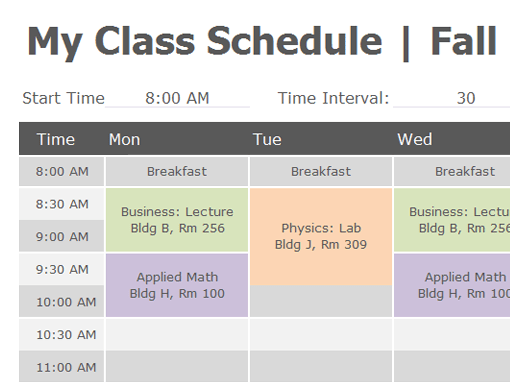 Even hourly planning can also be done, such as, class timing, assignments and dates. 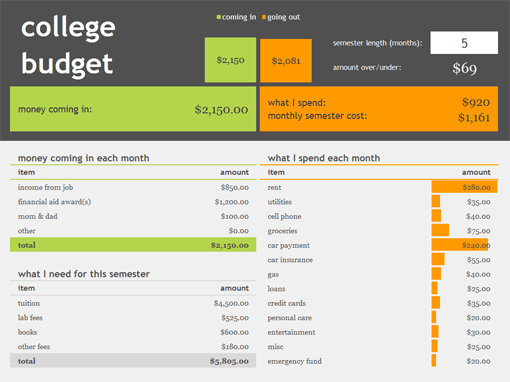 All the income and expenses, along with percentage, and balance is displayed even with graphs. After your graduation how much time it will take you to repay the loan. 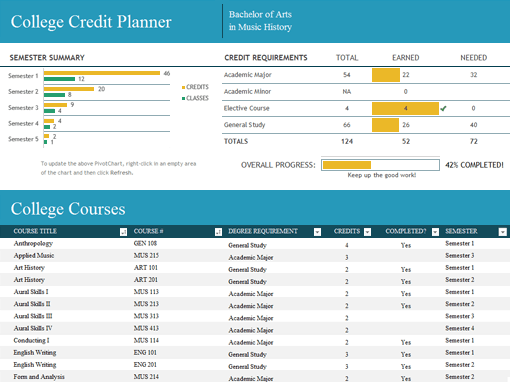 How much more time you require to complete the required credits to earn your degree? A major part of the time spent in college is spent in preparing assignments. It is even difficult to keep record of the assignment, related course, the instructor, their submission deadlines and many other dates. 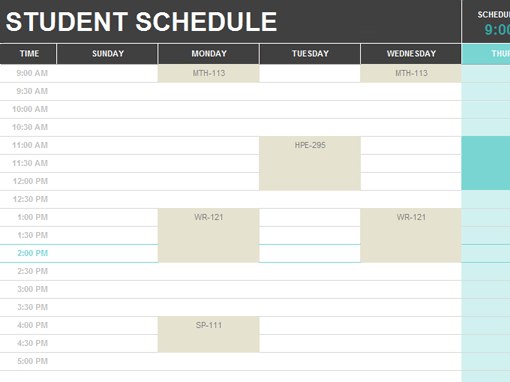 Prepare your weekly time schedule with high priority, medium priority or low priority. 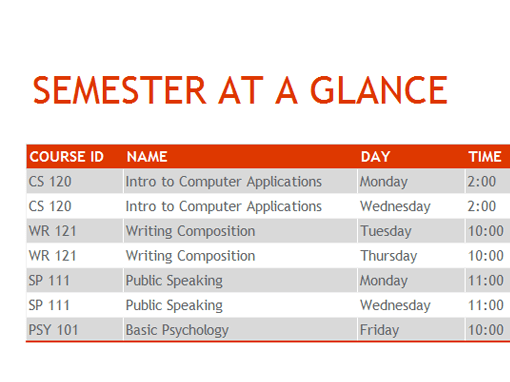 Not only the class wise plan but also evening time plan for the study group, evening tea, etc. This assignment schedule can be used by the instructor as well as she / he can assign different projects to different team members / groups and can assign different dates to them for the completion of the project. 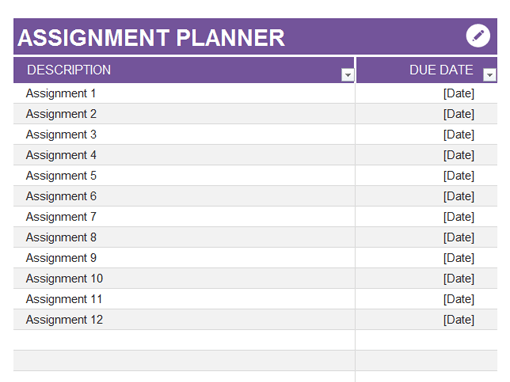 Then you can set the assignment due date. 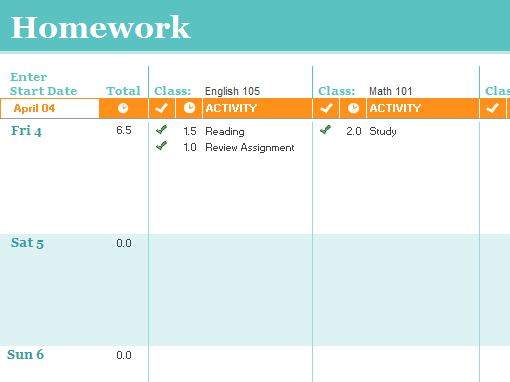 In addition to the display of the due date, the progress bars are also available to keep visual track. It is a good piece of advice to prepare a plan for the school day time, so that you may keep your pace accordingly. 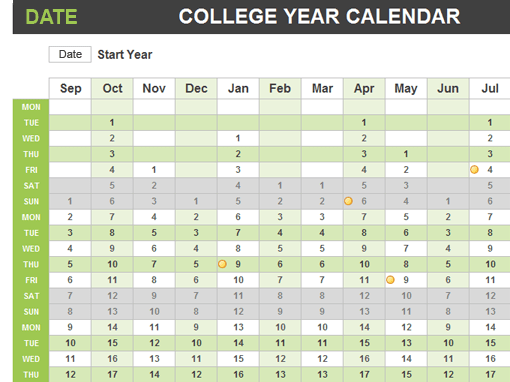 If this schedule is wisely prepared and followed, you can save a lot of time of your college year. You may use this template to enter each home work details, whenever the home work is assigned and its submission is due with some dead line. 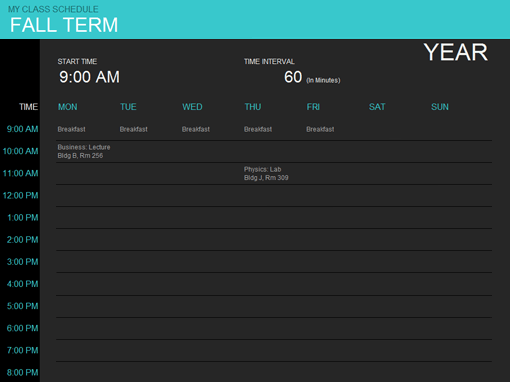 Again, this template is prepared to record and plan for classes and assignments for whole the year, on monthly, weekly and even daily basis. 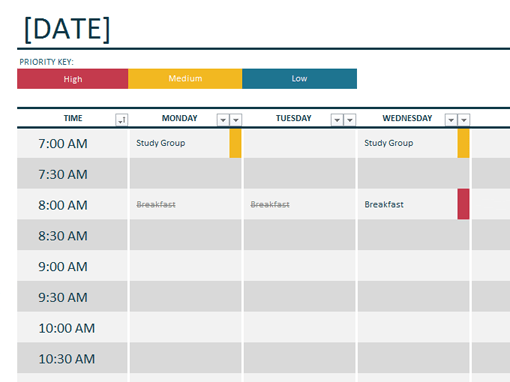 You may use this template to track your daily appointments and activities but on yearly format. 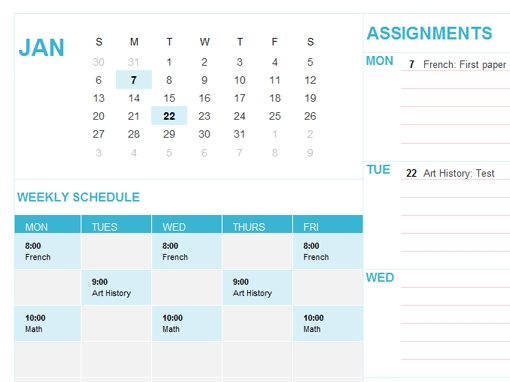 You may tap any day to see the detailed activities, schedule and planning along with specific deadlines, on this day. 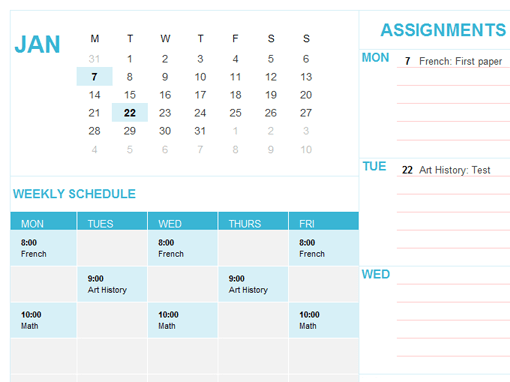 To deal a huge work load, homework and assignments, use this template. 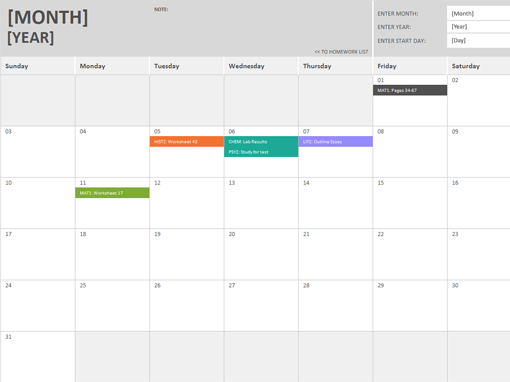 It will help you never to miss again any deadline as they will, automatically, appear on the calendar sheet. You may print it and even add it to your college notebook. 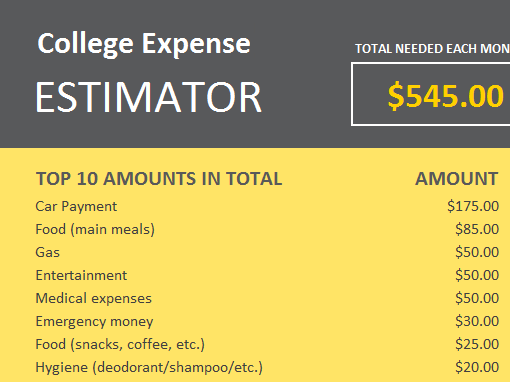 To complete a semester or academic year, this template will help you to estimate your total estimated expenses. 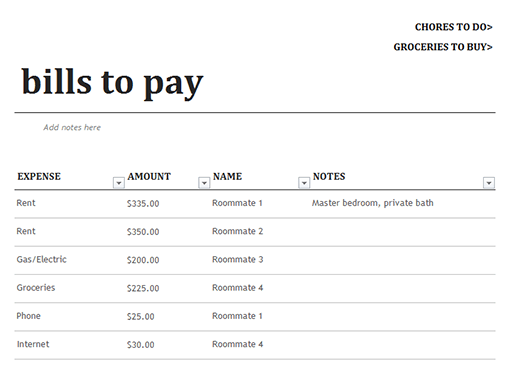 First of all prepare a list of the each item, total monthly expense on it and then add it to estimate for the college expenses. 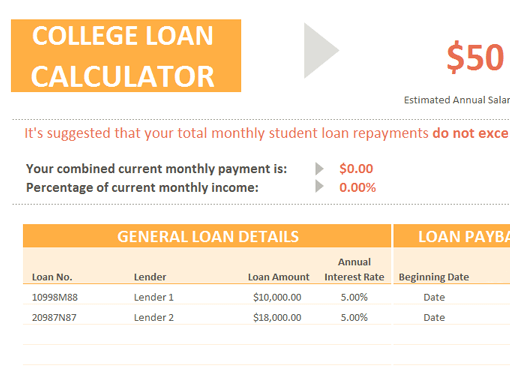 Then you may have the estimated total amount needed during your college year. How much shortage of funds is there? How much further financial resources are required?